BMW’s compact, family Sports Hatchback is available with either three or five doors and comes equipped with rear-wheel drive, a choice of exceptionally fast and efficient engines and technology integrations that ensure complete driving pleasure. BMW’s rear-wheel drive coupe combines sharp styling with new technology and better connectivity to ensure driving pleasure. The powerful dynamics are underlined with outstanding comfort and sporty style. The BMW 3 Series Saloon’s rear-wheel drive, great performance across all engine types and improved suspension could be the reason it’s a familiar sight on UK roads and known as the ultimate driver’s car since the 70’s. With excellent performance and compelling design as standard, the BMW 4 Series is perfect for drivers interested in a vehicle that guarantees excellent driving dynamics and pure motoring pleasure. Refined luxury and exceptional driving dynamics are all wrapped up in BMW’s 5 Series. This top-class executive vehicle is sure to please drivers looking for a prestige vehicle that delivers even-handed power. The generous proportions combined with a luxurious interior create a truly sumptuous vehicle that delivers a superb driving experience for owners of the 6 Series Gran Turismo. BMW have incorporated the best techniques and production methods to create the all-new 7 Series Saloon. This is one luxury car that delivers excellence in every way. Courageous design combined with an attention to the most valuable of luxuries – time – is evident in the design, power and sheer excellence of the BMW 8 Series. BMW’s i3 Hatchback proves that going electric doesn’t mean giving up on power or performance. The BMW i8 Coupe has been designed for dynamic driving and agility without forgetting the importance of sustainability and environmental responsibility. The svelte looking 4 Series Gran coupe combines easier access and more spacious rear seats with coupe style looks and a more practical layout. The comprehensive range of engines never compromise on power or performance whilst still delivering on economy. 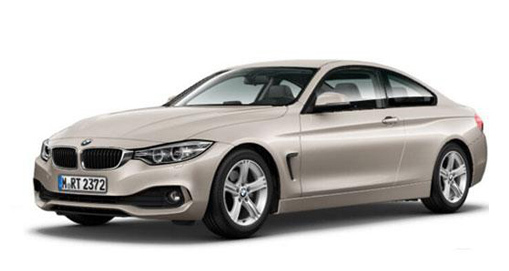 The elegant swoop of the roof line underlines the coupe aesthetic while the classic BMW kidney grille is framed with superb LED headlights that provide excellent vision at night. Rain sensor automatic headlight activation makes driving in inclement weather even easier. Driver performance control has a variety of modes – ECO PRO, Comfort and Sport – to ensure driving pleasure in all circumstances and run flat tyres encase the 17” light alloy wheels for additional peace of mind and safety on the road. This is further enhanced with a Tyre Pressure Monitor that has a three-level warning strategy if you are unfortunate enough to pick up a leak. Matt black exterior trims finish the looks of the vehicle perfect and you’re sure to turn heads when taking the Gran Coupe on the road. 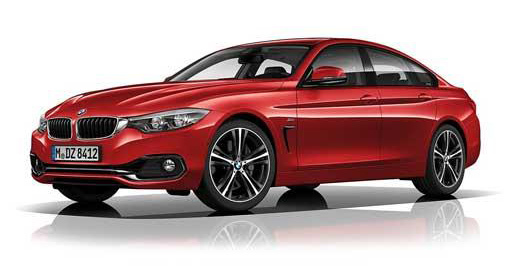 BMW Cars On Lease is a trading style of ACL Automotive Limited who are a licensed credit broker authorised and regulated by the Financial Conduct Authority, registration number 723172.